It’s common to have several employees in your database that work for the same organization. What’s the best way to set them up in LGL? 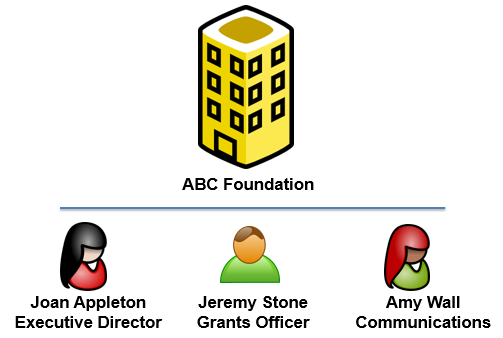 In the scenario shown here, we have three employees who are employed by ABC Foundation. What we want to do in LGL is create a constituent record for each one and show that they’re related. 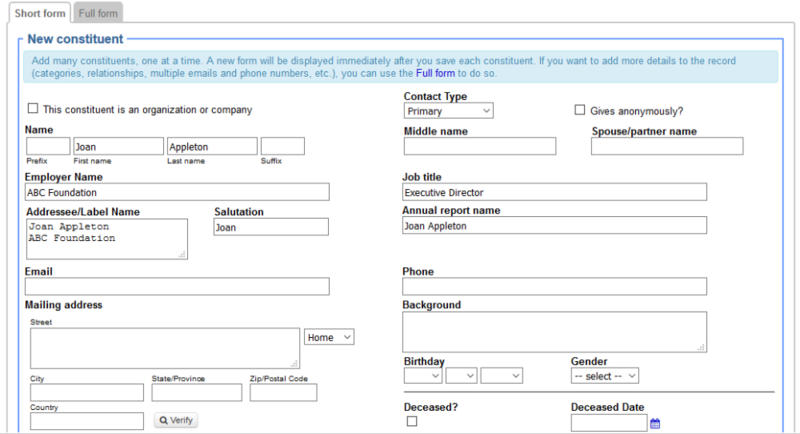 Start by creating an organization record for ABC Foundation, using the name of your primary contact person there. In this example, Jeremy Stone is the person we work with most closely, so we’ll enter his name as the contact person. For the executive director, Joan Appleton, we’ll create an individual record, but we'll still associate her with ABC Foundation using the Organization name field. We'll also add a relationship for Joan to ABC Foundation; we're listing ABC Foundation as her employer and Joan's relationship as Executive Director (you could also use "employee"). While you're doing this, you can also share address and phone information; in this example, we are copying the address for ABC Foundation to Joan’s record. Next we'll create a similar record for Amy Hall as Communications Director. In the end, we'll have an organization record for ABC Foundation that has Jeremy Stone as the contact person, which is linked to the records for Joan (executive director) and Amy (communications director). 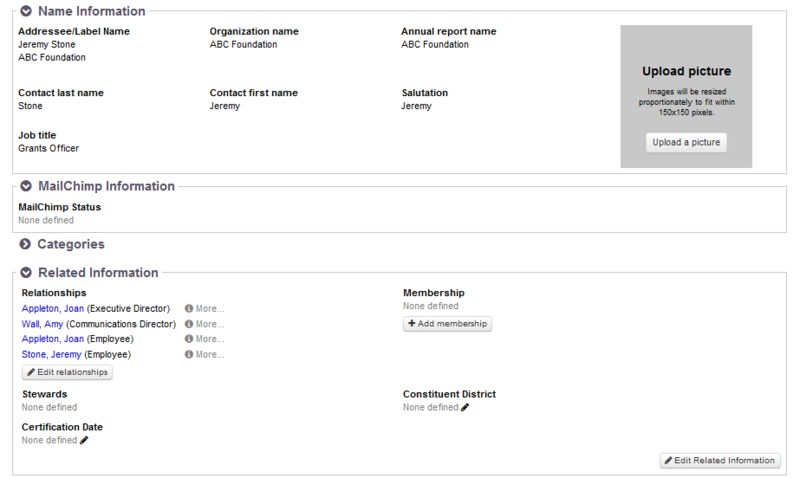 Note: If Jeremy Stone makes a personal gift to your organization, you will need to create another constituent record for him, so that you can keep his personal gifts separate from ABC Foundation’s gifts. If you have a lot of employee/organization data to enter, we recommend use the Flex Importer to upload from a spreadsheet. Read the Knowledge Base article on uploading relationships using the Flex Importer for details.